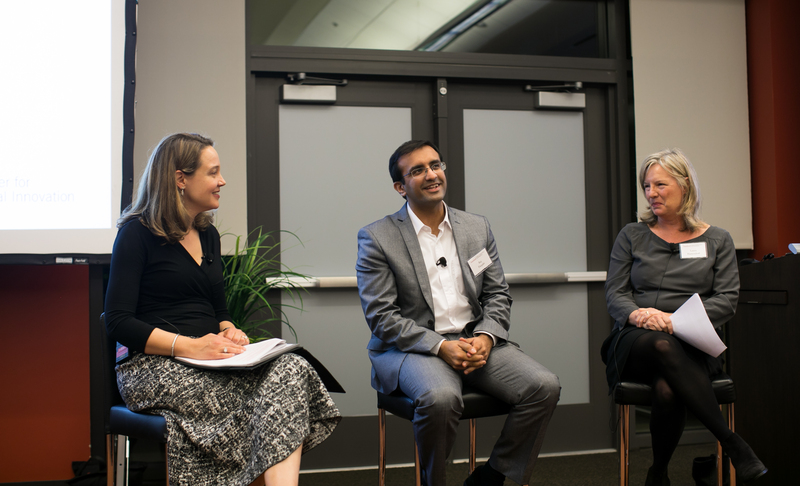 To an audience comprised of students, faculty, Stanford alumni, and social sector leaders, Panjabi shared his personal lessons of leadership and learnings so far at Last Mile Health. 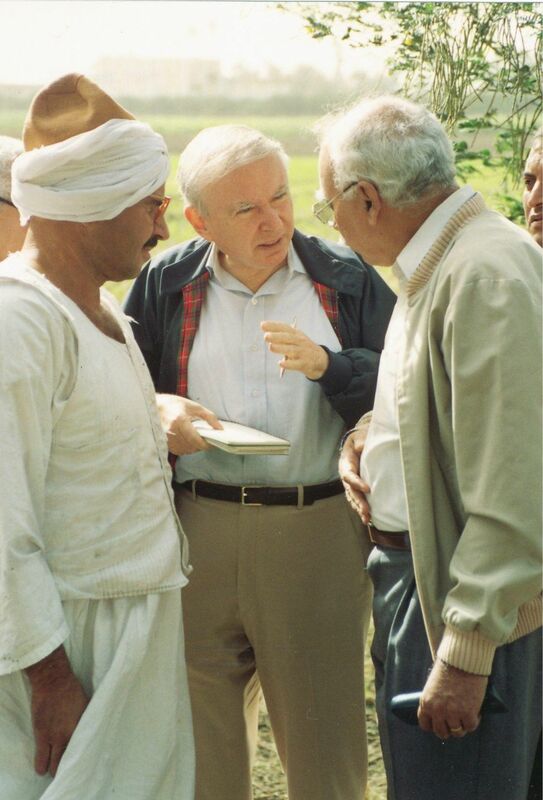 Lauding the importance of themes of “focus, focus, focus” in Engine of Impact’s Chapter 1, “The Primacy of Mission”, Panjabi stressed the importance of focus in a nonprofit’s activities (versus breadth and diversification). Panjabi shared that the early years of Last Mile Health looked very different from what the organization is today. Initially, Last Mile Health’s interventions were broad, including agriculture, sewing & more! But by honing in on a single concept – professionalizing community health workers – Last Mile Health has achieved massive impact. It was featured as an exemplary organization in Engine of Impact, cited for its current clear and focused mission. 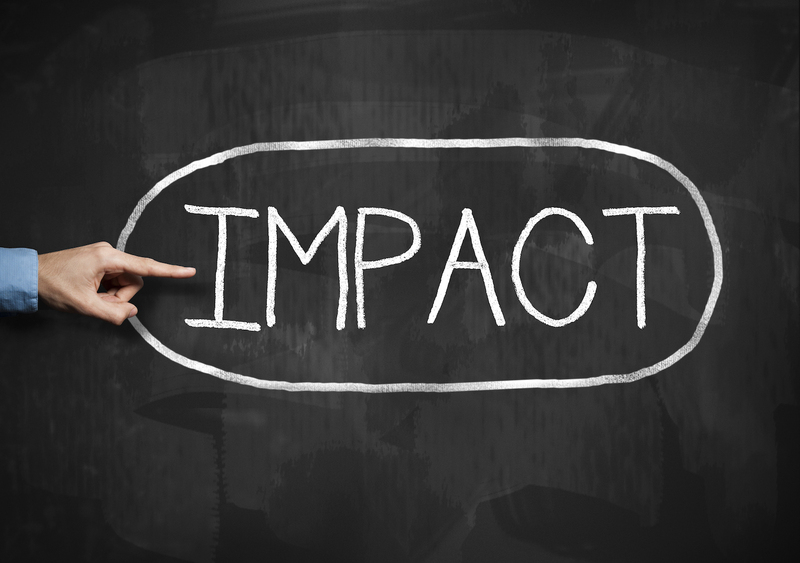 Last Mile Health was also featured in Engine of Impact for its impressive ability to scale. Engine of Impact received a highly favorable recent review in Voluntas: International Journal of Voluntary and Nonprofit Organizations 29.5, 2018. 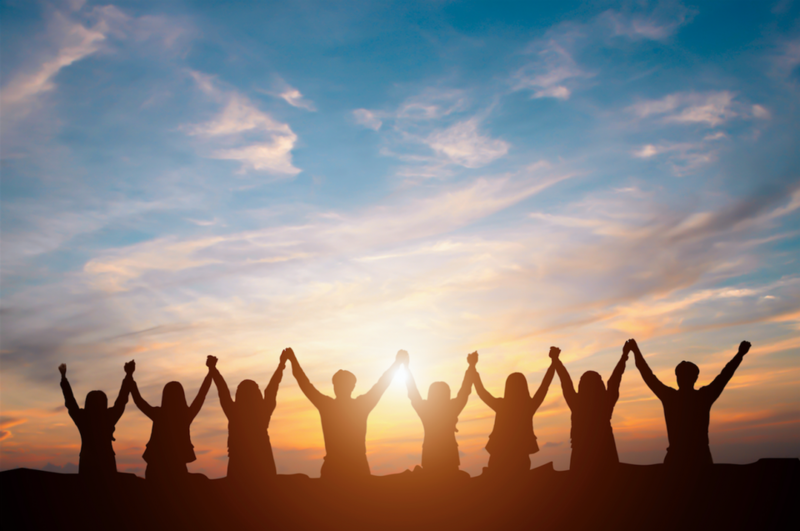 “[This book] has the potential to revolutionize leadership for all nonprofit stakeholders, and thus increase impact for the clients and communities these nonprofit organizations serve,” commented Voluntas reviewer Anne C. Briggs. The review underscored that “William F. Meehan III and Kim Starkey Jonker’s decades of nonprofit and for-profit experience, primarily focused on optimizing organizational performance, creates a strong base for creating a new strategic leadership model for the nonprofit sector”. 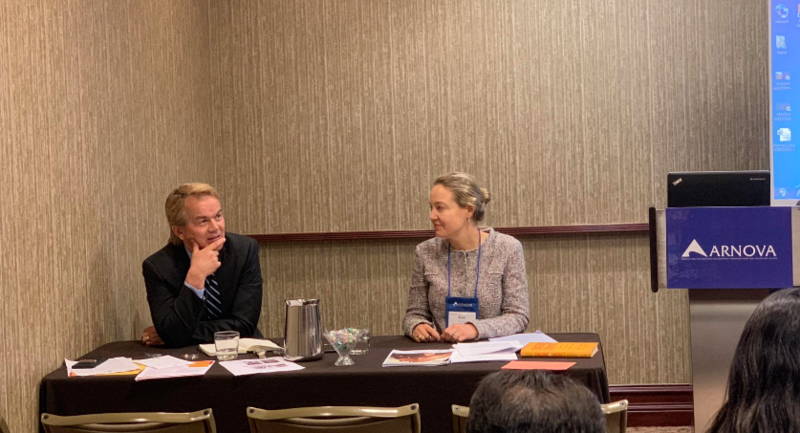 On November 15th, Kim Jonker, President and CEO of King Philanthropies, and Tim Hanstad, CEO of the Chandler Foundation and cofounder of Landesa, led a discussion at the ARNOVA (Association for Research on Nonprofit Organizations and Voluntary Organizations) Annual Conference in Austin, TX. Kim shared insights and themes from Engine of Impact, with Landesa as a case example of an organization that has mastered so many of the essentials of strategic leadership. Audience members were keen to ask Hanstad, who just stepped down after 32 years at the helm of Landesa, about the challenges posed and lessons he’d learned co-founding a small organization that went on to have incredible impact at scale. “Strategy is all about what you say no to,” said Hanstad. He shared that his team’s commitment to Landesa’s focused mission led the Landesa team to turn down enormous sums of grant money that would have led the organization astray. 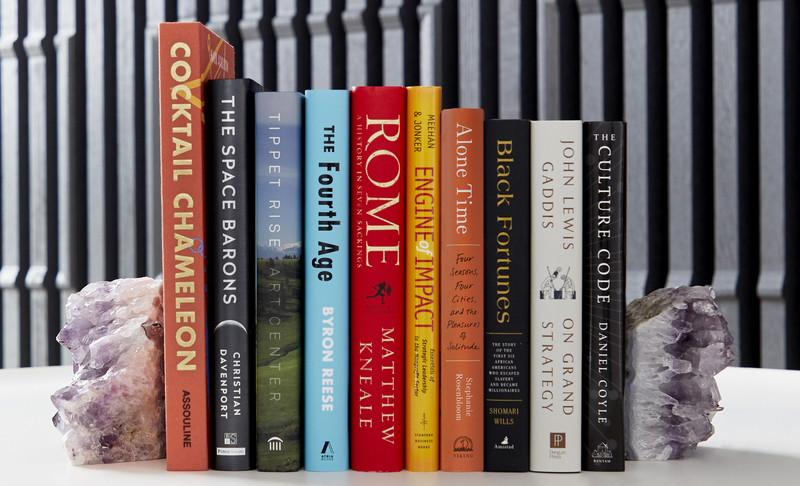 Every summer, out of the thousands of nonfiction books published in the preceding year, the financial services giant J.P. Morgan selects 10 books to recommend to its clients. Today, the firm announced its 19th annual Reading List Collection, and Engine of Impact is among the titles honored by placement on the list. In a video released in conjunction with the announcement, co-authors Bill Meehan and Kim Jonker expressed their pride in being so recognized. An overview of the full list is available here. In a recent article for Stanford Social Innovation Review, Meehan and Jonker explore the team-of-teams model at length and present a short case study of how Pratham, an education nonprofit in India, has adapted the model to conduct an ambitious, nationwide survey of children’s learning outcomes. In addition, for their column on leadership for Forbes, Meehan and Jonker have written a new piece that summarizes the team-of-teams model and explains why it is becoming highly relevant to leaders in every sector. The model is as beneficial to employees as it is to the organizations that implement it. 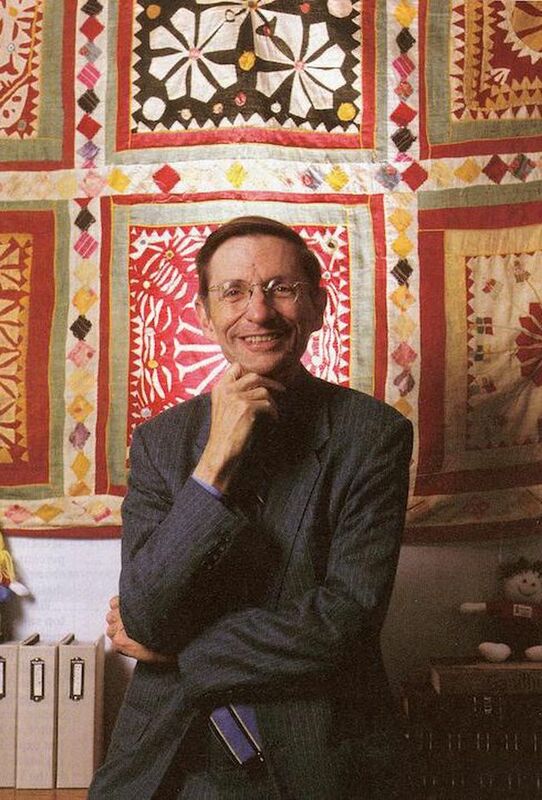 “[T]here are so many more opportunities for people’s career paths than were possible previously,” according Bill Drayton, who has pioneered the model at his organization, Ashoka. You can find that piece, along with others written for the Forbes column, here. 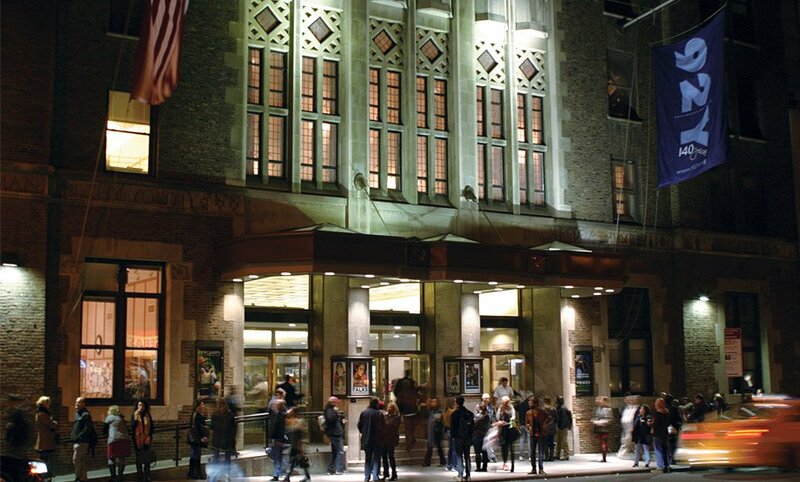 Next month, Bill Meehan and Kim Jonker will speak at the legendary 92nd Street Y (known as 92Y)—the organization that launched the #GivingTuesday movement. The event will occur on Thursday, June 28, at 7 p.m. at the 92Y facility in New York City. Tickets for the event are on sale now. 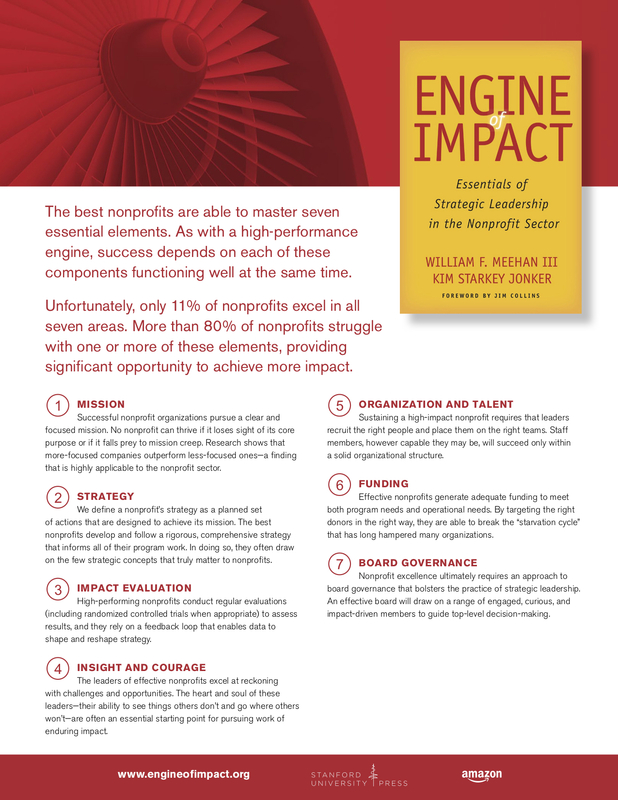 Drawing on their work in Engine of Impact, Meehan and Jonker will deliver actionable guidance that nonprofit executives, board members, staff members, and donors can use to jumpstart their own performance and to achieve extraordinary results for their organization. Kathy Spahn, CEO of the award winning nonprofit Helen Keller International, will interview the authors, and Maya DiRado—a four-time Olympic medalist in swimming—will introduce Meehan, Jonker, and Spahn. In her remarks, DiRado will describe how Engine of Impact has inspired and equipped her to increase her own impact in the social sector. Our primus inter pares core principle is “high impact at scale.” Even as we place this principle first among equals, we are always careful to point out that we find, and honor, deep human dignity in any authentic effort to support, serve or simply be present with another person in need. 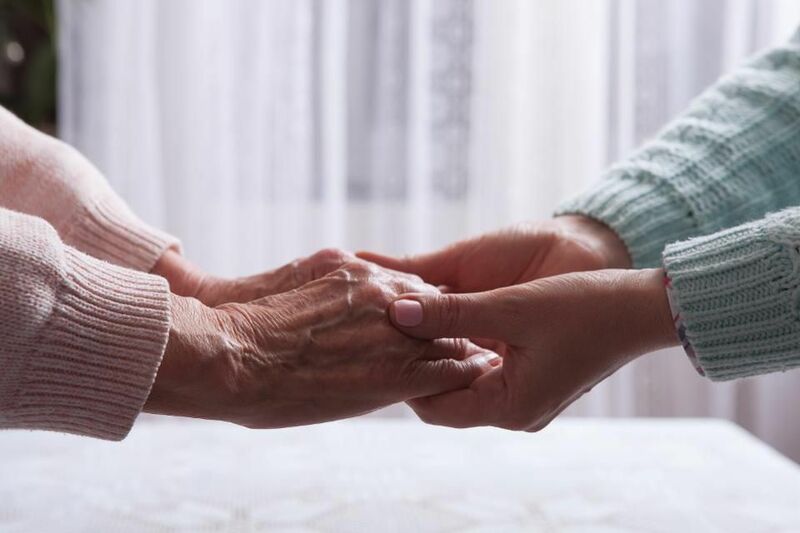 This life principle to “serve others” is an essential idea in virtually every faith and wisdom tradition. It represents our fundamental obligation to each other, the foundational element in any community—our only true hope in our increasingly borderless, diverse world. In conjunction with the new article, Meehan and Jonker have also created a handy one-page summary of the seven elements of strategic leadership. As they explain in that piece, those elements are prerequisites for achieving high impact at scale. You can read the column here, and you can access the “seven essentials” summary here. 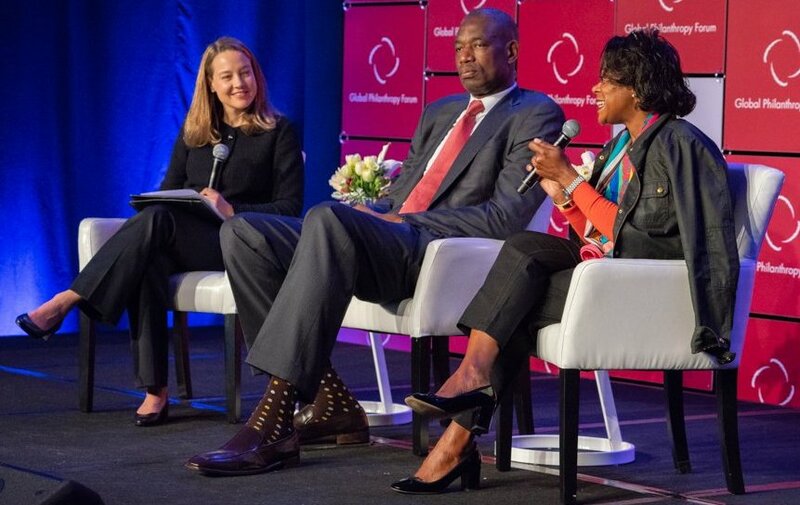 Last week, Kim Jonker moderated a panel at the 2018 Global Philanthropy Forum (GPF) conference in Redwood City, Calif. The panel, “Building an Ecosystem: When Generosity Meets Strategy,” focused on the growth of philanthropy in Africa. In introducing and leading the session, Jonker drew both on her work at King Philanthropies, which sponsors ambitious programs in Africa, and on her and Bill Meehan’s work for Engine of Impact, which explores (among other topics) the nexus of generosity and strategy. Strategy is a planned set of actions that enable you to achieve your goals. However, many organizations in the social sector have strategies that lack focus and spread their resources too thin. Kim Starkey Jonker, president and CEO of King Philanthropies, sat down with Valerie Dabady, manager of the Resource Mobilization and Partnerships Department at the African Development Bank and Dikembe Mutombo, chairman and president of the Dikembe Mutombo Foundation, to discuss how philanthropists can effectively identify or build organizations with strong, targeted strategies. A former NBA player, Mutombo emphasized the importance of collaboration as a central part of strategy. “Anything you want to do in life, you have to understand you need to work as a team,” he said. Building on this, Dabady pointed out that knowing who to work with, and making the right partnerships for your organization is critical. A complete video recording of the session appears below.